Make A Stylish Statement–Not Just For The Holidays Either! Statement necklaces never go out of style. They instantly elevate any outfit & reinvent a look’s accompanying pieces.I love mixing & matching statement necklaces with solid tops or printed dresses, often playing on color combinations to brighten up an ensemble, while also framing the face &, of course, facing the day like the true Style Darling! 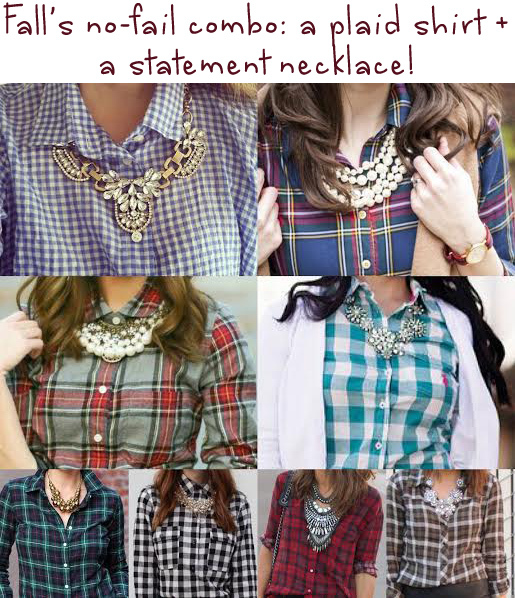 Also, statement necklaces aren’t limited to special occasions or the holiday season. Add that extra element of sparkle creates interest in any look, as well as gets the most worth out of your accessories. To help you get inspired when trying a statement necklace for the first time (or if you’re scouring for new ways to wear old favorites), check out Taraji P. Henson, Scarlett Johansson, Kerry Washington, & Cate Blanchett. 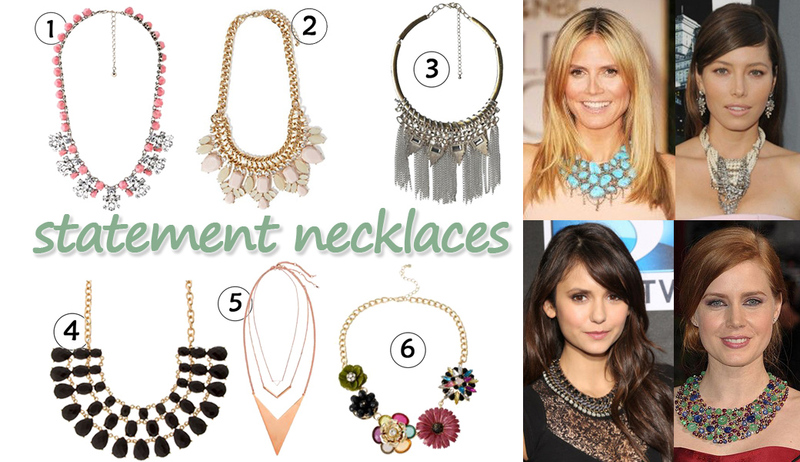 Remember, statement necklaces aren’t just for the red carpet either! Now that it’s starting to get chilly out, you’re breaking out the layers to bundle up & that shouldn’t exclude jewelry. Try wearing a glitzy statement necklace over a chunky sweater with leggings & riding boots or a statement necklace over a sweater dress with patterned tights. Shop these affordable & stylish finds to build your go-to statement necklace inventory for a variety of occasions. 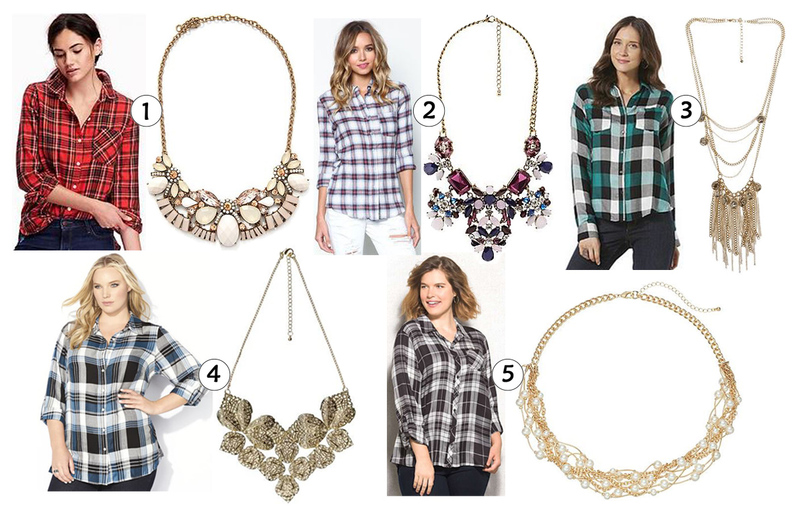 For more statement necklace inspiration, check out this timeless trend in previous posts here, here, here, & here. Happy Styling! Accessories Access: Stylish & Sparkling Statement Necklaces ($25 & Under)! It doesn’t have to be the holiday season for me to wear something sparkly, especially a statement necklace. I’m always curious & mindful about how I’m pairing my accessories together to portray a chic look that isn’t too busy either. I love exploring color & shape combinations over my tops & dresses to rediscover new ways to wear each piece from season to season. Check out (below) some of my favorite recent statement necklace looks (as posted on my Instagram @MissAlissaL). For those of you who are hesitant about dipping yourself in dripping gems, now is the time to explore the different color & shape possibilities with statement necklaces, as well as bold bib necklaces & collar necklaces. I love surprising myself with how a sparkling piece of jewelry can really make an outfit special, dressed up, & appear a lot more expensive. 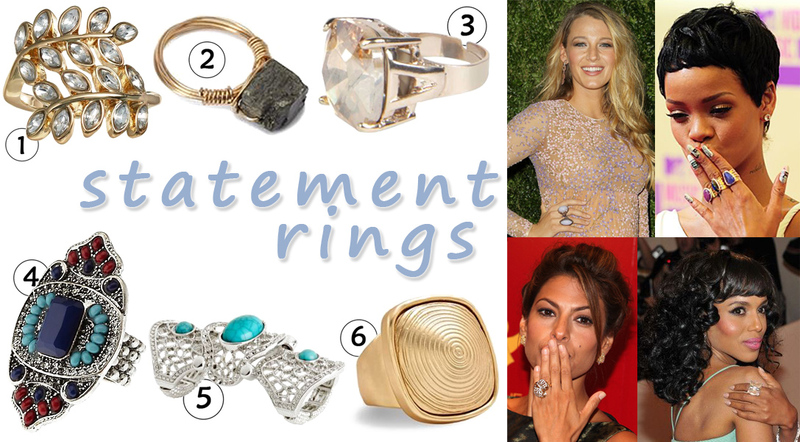 However, when investing in fashion jewelry, it’s important to choose diverse pieces that you can get the most use from. Try some showstopping stones over a plaid shirt, pearls & beads with a graphic tee, or feminine floral motifs with a heavy knit. SHOP: 1. braided necklace @Francesca’s, 2. bib necklace @New York & Company, 3. green rhinestone necklace @H&M, & 4. bead & stone statement necklace @Target. SHOP: 5. flower necklace @Dressbarn, 6. drops statement necklace @Charming Charlie, 7. gem statement necklace @Forever 21, & 8. pearl & crystal statement necklace @Icing. 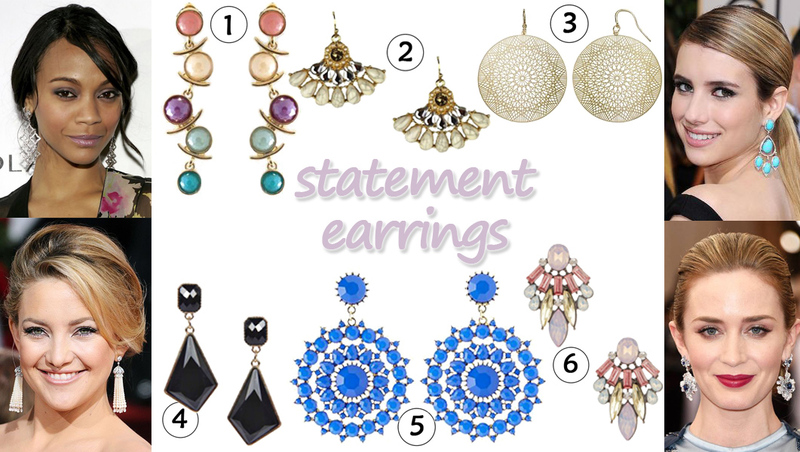 How often do you wear statement jewelry? Where do you like to shop for the best jewelry bargains? What trends are inspiring your holiday style? Happy Styling! Ad Madness: Olivia Palermo Models Her New Jewelry Collection for BaubleBar! If there’s one Style Darling to watch out for, it’s always going to be the one & only, Olivia Palermo, whose personal style has transformed the way fashion bloggers like myself consider street style, as well as millions of Pinners approached their wardrobe. The internet is always buzzing when the socialite-turned-fashion icon makes an appearance anywhere, & now there’s even more reason to talk about her flawless sense of style with her newest designer collaboration with jewelry retailer BaubleBar. The line features all things decadent & detailed, modern & progressive, elegant & classic, including statement necklaces, earrings & earring jackets, cocktail rings, cuff bracelets, & brooches, which ranges in price from $28.00 – $78.00. Shop the entire collection here & check out her promo ads, including nothing but fashion perfection. 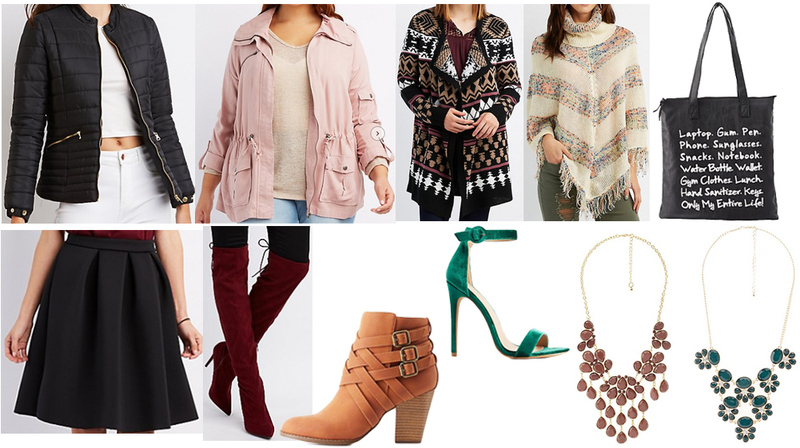 Here’s a closeup look of some fantastic pieces that would instantly dress up any cardigan & skinny jeans look, little black dress & ankle boots, or sheath dress under a chunky sweater. SHOP: 1. brooch ($34.00), 2. cuff ($58.00), 3. necklace ($62.00), 4. ring ($42.00), & 5. earrings ($36.00) @BaubleBar. What do you think of Olivia’s collection? Would you shop for these special pieces? How would you style statement jewelry like Olivia’s? For more stylish reads, check out Darling of the Day posts including Sienna Miller, Anne Hathaway, Gwyneth Paltrow, & Emily Ratajkowski, as well as the complete red carpet gallery from the Emmy awards. Happy Styling!